One of the great aspects of the Texas climate is seasonal weather that lets you enjoy the outdoors. While non-residents may think of Texas weather as an endless string of hot, dry, mercilessly sunny days, Texans know different. Long stretches of temperate weather let residents practically live outdoors in many parts of the state. Relaxing around the pool, cooking for company in the outdoor kitchen and spending the evening under the stars make Texas living fun. 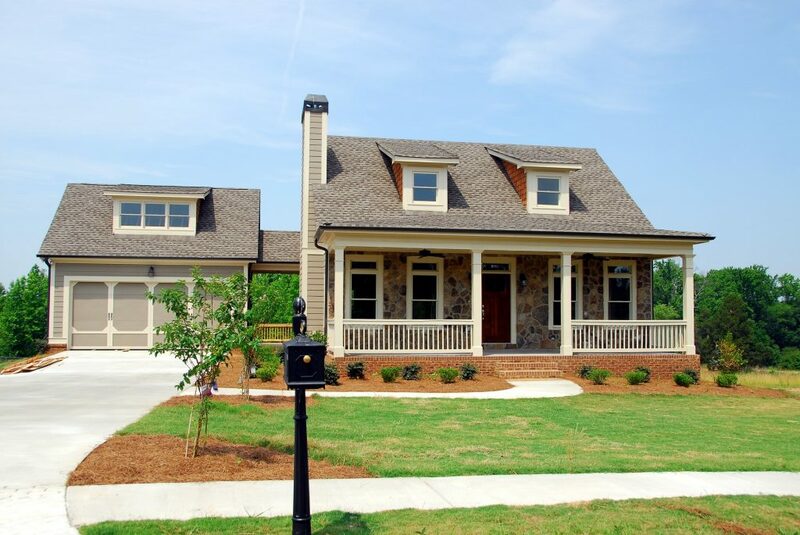 Architecture and community design let you feel you really live on the land, whether in a suburban town-home or a country home. Growing your own vegetables, keeping stock and drinking water from your own well give you a view of “home” that is unique. What does country living have to do with your electric bill? Quite a lot, actually. Two landscaping strategies can help you enjoy the outdoors while lowering the cost of doing so. One is your choice of outdoor lighting; the other is the decisions you make about watering your grass and yard. In both cases, good decisions will reflect in lower balances on your electricity bill. Until fairly recently, most outdoor lighting was attached in some way to the household electricity source. Solar-powered light bulbs tended to be low in power, and a few stormy days left the patio dark and gloomy even after the rain stopped. Today’s solar-powered outdoor lighting shows lots of innovative improvements, ranging from higher-production LED bulbs to long-lived strip lighting that can be inlaid into masonry and stonework. Whether you’re looking for porch lights, ornamental lanterns, lights to illuminate walkways, garage security lighting or spotlights to highlight unique plantings and landscape features, seek out Energy Star lighting products that can use the sun’s power to brighten your outdoors at night. 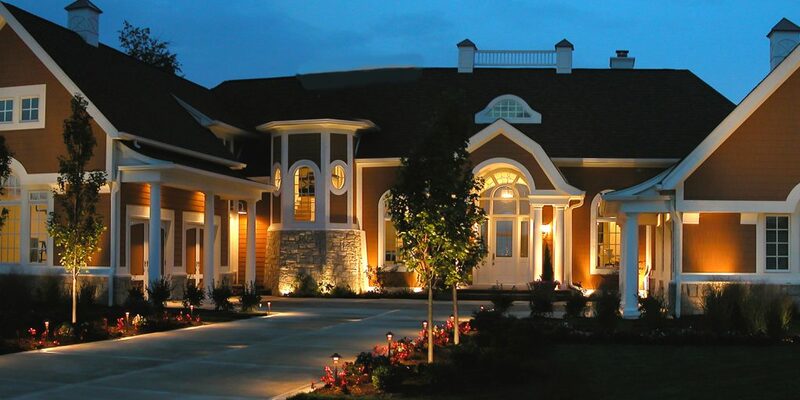 You will find improvements in controlling both light levels and operating time; a smart switch can keep your outdoor lighting on an automatic schedule or detect your presence and need for lighting. Different types of bulbs and higher wattage offer you decorative options far beyond the old poke-the-footlight-into-the-ground mentality. Planned and installed correctly, new developments in outdoor lighting fixtures and technology let you brighten your yard while giving your electric bill a rest. How Saving Water Saves Money – Twice! Landscaping your yard with native plants, rather than setting up your yard as a gallery of exotics, will save you time, labor and money, no matter where your water comes from. Choosing plants that are already accustomed to your local growing conditions means a lowered need for extra water. The same logic applies to exotic trees, shrubs and grasses. If you are part of the many families whose residential water is provided by means of an electrically-powered well-pump, water-wise gardening lets you save on two important household resources at once. Although state figures are not regularly available, the U.S. Department of Energy estimates that between 13,000,000 and 15,000,000 households nationwide receive their water from wells, many of which rely on electricity to pump water into the home. Berkeley Laboratories offers a worksheet to calculate the cost, in terms of electricity, of a typical family of 4’s use of well-powered indoor water and outdoor water. Berkeley’s table offers a thought-provoking range of quantities of water used outdoors and the rates at which it is disbursed. 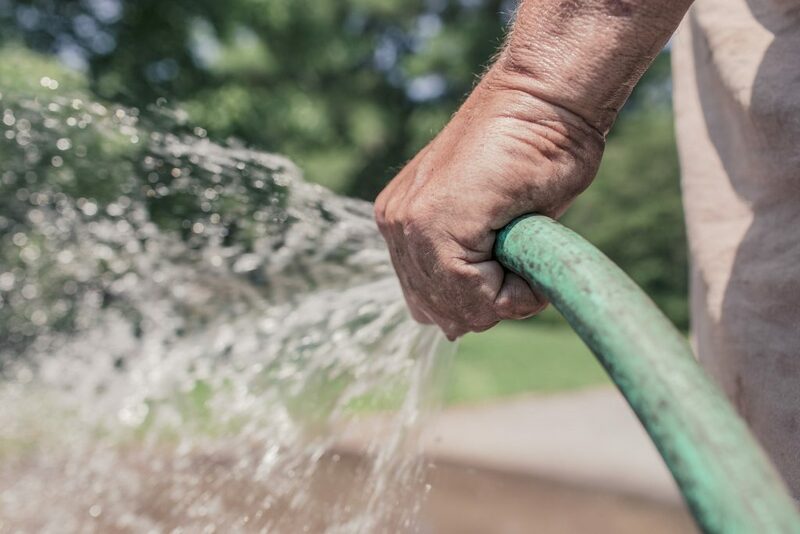 Clearly, if you have an electric-powered pump, reducing the amount of water your landscape plants need to survive will show up on both, your water bill and your electric bill. Early spring is a great time to make water-saving changes in landscaping. According to the U.S. Environmental Protection Agency, between 30 and 70 percent of household water is used outdoors (depending on the climate). Automatic sprinkler systems contribute to overuse of water outdoors unless very carefully monitored, and up to 50 percent of outdoor water may be wasted by runoff, evaporation and windblown over-watering. Your automatic sprinkler system may be contributing heavily to waste of both water and electricity. Experts estimate it takes half your outdoor water just to keep the lawn green. Some easy changes keep your yard looking great and cut both water and electricity costs. Get good advice on native plants before you start. Area nature centers, your USDA County Extension agent, and the Lady Bird Johnson Wildflower Center all have great information of plants that suit your climate and grow vigorously with light to moderate care. Position large native shrubs and small trees where they will shade windows in summer and let warming sun through bare branches in winter. Replace ever-thirsty grass with paving or decorative gravel. Restrict water-guzzling annuals to containers and provide vegetables with raised beds. Especially if you are pumping well-water, watch both your water bill and electricity bill shrink.